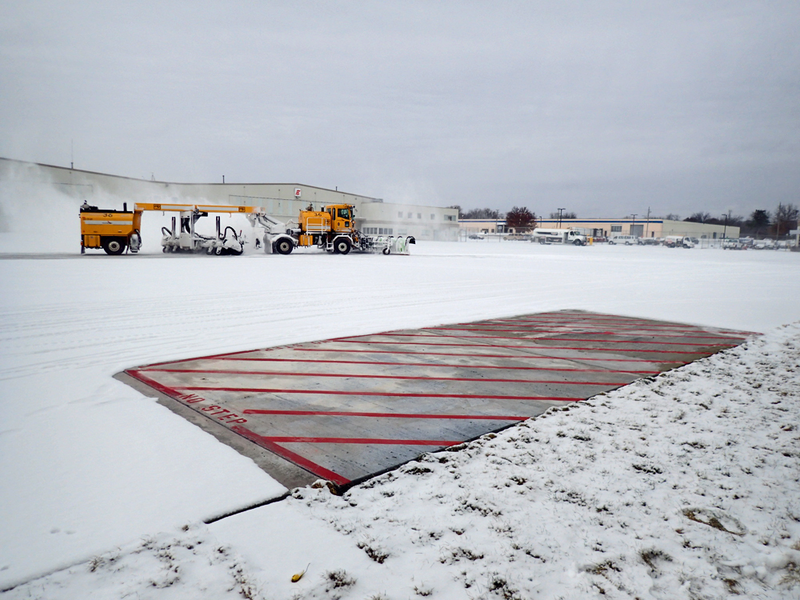 Highway agency staff are always in search of innovative, implementable, and cost-effective solutions to address their winter pavement maintenance issues and challenges. 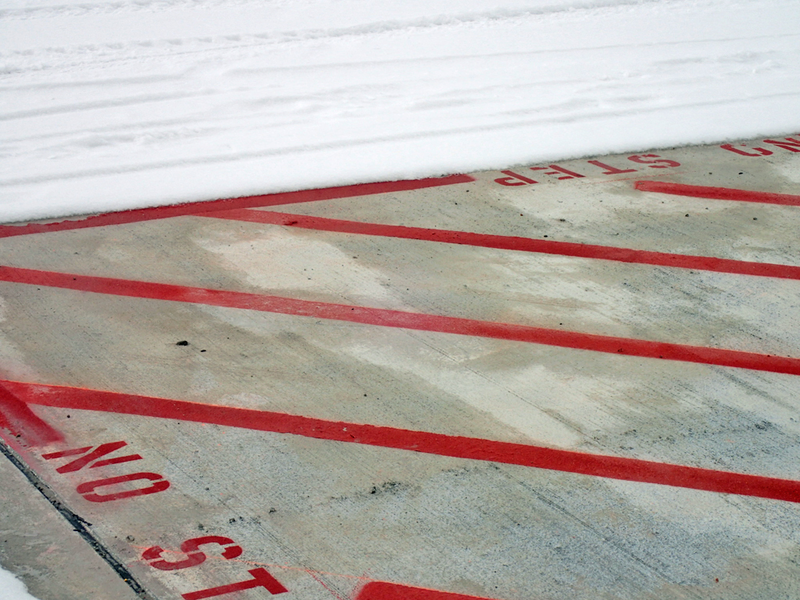 Considering the economic implications of even partially shut-down bridges, roadways, and highways due to ice/snow, combined with the negative impacts of applying deicing salts to pavement surfaces during snow and ice events, there is a critical need for an alternative ice and snow removal technology that is dependable, fast, and cost-effective, and has minimal impact on the environment. 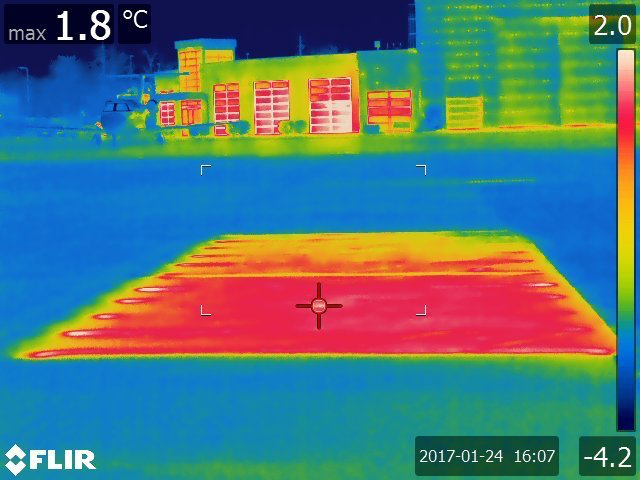 Recent research studies have tried to address this need through the development of mechanical material modification and thermal- and electrical-based technologies. 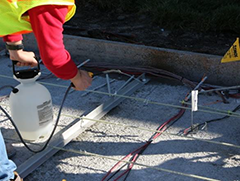 Among these, the development of so-called self-heating concrete surfaces, by enabling the concrete to be electrically conductive, has gained attention with potential applications for driveways, sidewalks, pedestrian crossings, city and county roads, state highways, and airport pavements. 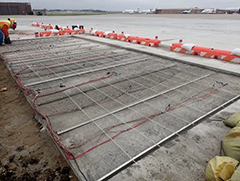 Through a Federal Aviation Administration (FAA)/PEGASAS-sponsored research grant, the Institute for Transportation’s Program for Sustainable Pavement Engineering and Research (PROSPER) team at Iowa State University has demonstrated the potential for developing and implementing cost-effective, best-performance electrically conductive concrete (ECON) by adding conductive materials to normal concrete. Their ECON research is at a stage where it can be further expanded and demonstrated on a full-scale basis through a field demonstration project. 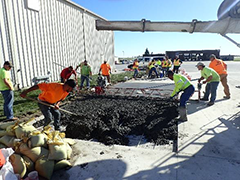 The Iowa Department of Transportation (DOT) maintains thousands of linear miles of roadway and several properties across Iowa including roadways, roadway shoulders, maintenance shops, and rest stop areas. The versatility of the ECON technology is such that it can be custom-designed and optimized for each specific transportation infrastructure application, including sidewalks, driveways, bridges, city and county roads, and state DOT maintained rest areas, visitor centers, and state and interstate highways, depending on the need and interest. 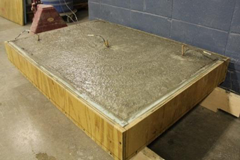 This versatility stems from the fact that the ECON technology is typically implemented as a conductive concrete overlay on top of the existing structure. The ECON design requirements and considerations are obviously somewhat different for each specific application warranting detailed research investigation before implementation in each situation. For instance, implementing ECON technology in bridges requires that the design take into account the potential for corrosion of steel reinforcement, availability of a low-cost energy source (ideally geothermal energy) to power the ECON system, finding the optimal location for placing the electrodes, etc. On the other hand, ECON implementation in sidewalks has slightly different requirements, as reinforcement is rarely used in sidewalks. In going forward with this full-scale demonstration of ECON technology for Iowa transportation infrastructure, the research team will work with the project technical advisory committee (TAC) in identifying a suitable location (ideally an upcoming construction project by the city, county, or the Iowa DOT) for field demonstration. One such site of interest to the Iowa DOT is near I-80 Eastbound in Council Bluffs, on the shoulders. There has also been interest in implementing this technology in rest areas and Iowa bridge systems.